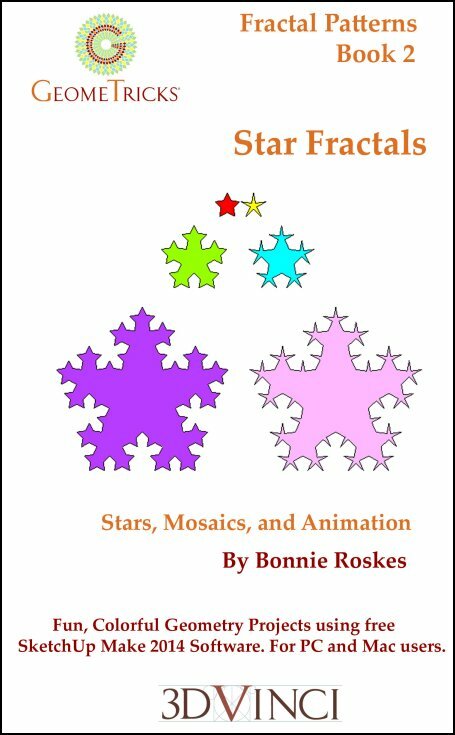 With this book, you will start with simple stars, and make basic fractals from them. These stars are tiled to make colorful mosaics. And in the last chapter, the fractal-creating process will be animated. All geometry is created in SketchUp Make 2014 - a free, easy-to-use 3D modeling application. For both Mac and PC users. View chapter details. Printable PDF format, 8.5" x 11", 33 pages; download info will be sent within one business day.